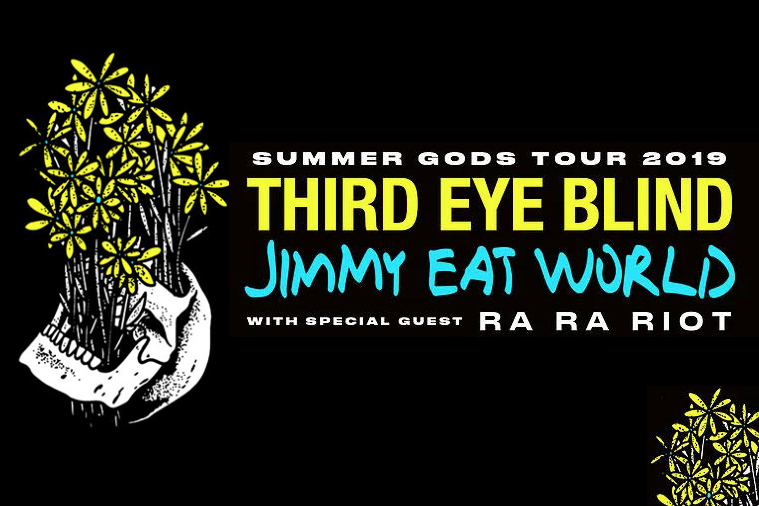 Win a pair of tickets to see Third Eye Blind & Jimmy Eat World! 91X wants to hook you up with a pair of tickets to see Wrex the Halls veterans, Third Eye Blind and Jimmy Eat World during their Summer Gods 2019 Tour! It’s all going down on Thursday, August 1st at the North Island Credit Union Amphitheatre in Chula Vista. Don’t forget to get there early to check out the support act, Ra Ra Riot! If you’d rather purchase your tickets click HERE to sign up for our pre-sale e-mail and get access before everyone else!